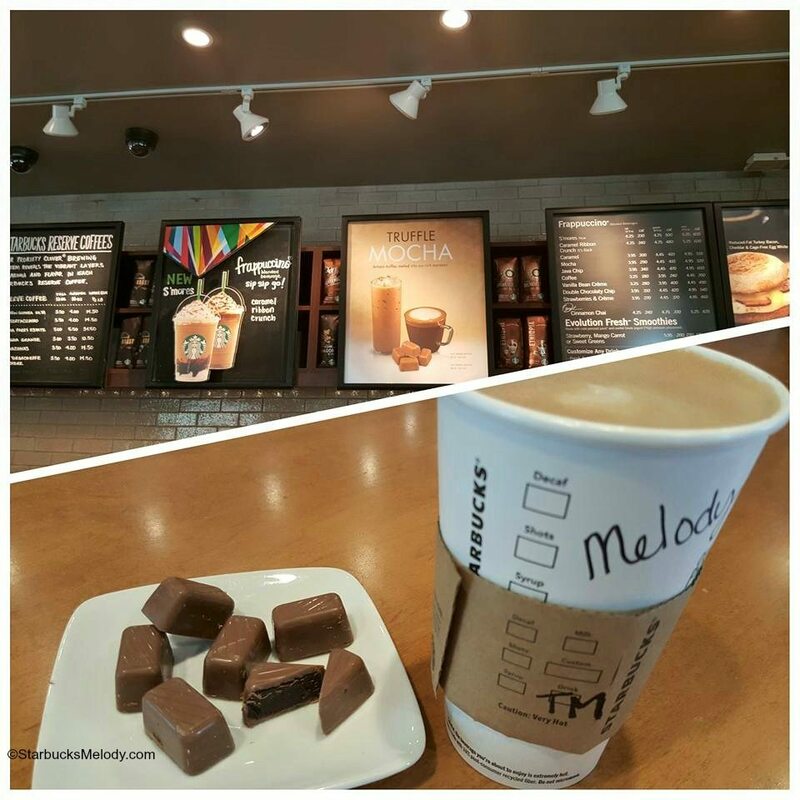 I had the chance today (June 6, 2015) to try the Truffle Mocha at Starbucks. This is a single store test. I found the Truffle Mocha in Kirkland, Washington. (Kirkland is a suburb of Seattle). The Truffle Mocha can be ordered hot or iced. It’s made with actual chocolate truffles melted on the bottom of the beverage, not the standard Starbucks mocha sauce. The heat from the espresso and milk melts the truffles. I tried it both hot and iced, just to get a good sense of what it’s like. Somehow, I don’t imagine this drink to ever make it out of testing. I can’t like everything Starbucks comes up with! The iced version of the truffle mocha is odd. Since only the heat of the espresso melts the truffles, there really isn’t enough heat to melt the chocolate truffles. Cold milk won’t do it. The result is a lumpy beverage – you’ll find a clump of half melted truffles at the bottom of your drink. It’s funny though, a barista mentioned to me that she’s had customers say that they love having truffle pieces in their beverage – like as if it reminds them of a Frappuccino. Proof positive that taste is very subjective! In the photo of the iced Truffle Mocha side by side with the traditional iced mocha, you can see that it’s much lighter in color too! Less chocolaty! The hot Truffle Mocha was good but noticeably less sweet than the traditional mocha. You don’t even have to be drinking them side by side to realize that. You can see the little truffles that go in the drink, next to my Truffle Mocha. 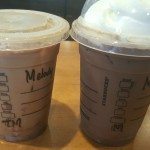 Do you think the current Starbucks mocha even needs any improvement? This isn’t the first time I’ve written about Starbucks single store tests. Just last month, I tried the Copacabana Frappuccino in San Deigo, also a single store test item. If you stumble upon a single store test, or have any 411, please send details my way! I’ve heard that there are a few more stores doing single store beverage tests. One barista mentioned that there might be one in Boston. I’m always looking for your Starbucks news tips! Edit on January 21, 2016: There’s an updated article about the Melted Truffle Mocha here. While it sounds interesting, I think as a company-wide beverage it may have a tough go (i.e. The people who thought we put glass in their Caramel Brûlée lattes). One cafe I would visit when I went to visit family in Maryland used melted Belgian chocolate to make their mochas. They had three warmers that constantly stirred the chocolate to keep it liquid. Somehow chunky mocha doesn’t sound appealing. 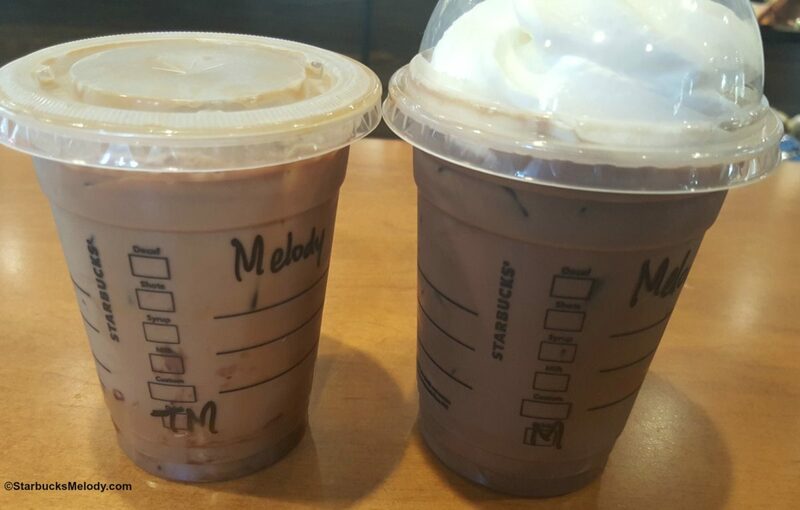 Melody, could you tell me which exact Starbucks store? I would like to try this drink. It’s about an hour drive for me, depending on traffic, since I live near the King/Pierce line…lol….but, I will still make the drive! @Valerie – Somehow I think this will be a short test. What’s more interesting to me is the thinking that the mocha sauce needs to be elevated. I’ve always thought that people love Starbucks mochas, and this hardly seems like it needs to be changed. I wonder if others thing there is room to elevate or improve the standard Starbucks mocha sauce? In my stores the traditional mocha is really lacking in sales. We see a lot more people getting white mochas or flavor added to the mocha sauce. I personally don’t like the mocha. I feel like it’s missing a creamy element and can feel chalky in the mouth. The milk chocolate sauce we have right now for S’mores Frappuccinos is really nice as a mocha. I put 2 mc and then stir in three espresso shots and top with steamed milk. Becca – That’s very interesting. I admit, I personally like the milk chocolate S’mores sauce better than the traditional mocha. But that’s a pretty sweet sauce too! I’m seriously going to have to try that as a mocha soon! I think having the truffles already warmed makes more sense like Valerie mentioned. I’ve heard that the mocha sauce Starbucks uses is supposed to be a dark chocolate but there could be improvement there. I drink mochas the majority of the time and have had mochas from other coffee shops that use a much darker chocolate. I like the Starbucks mocha but would love to see them add a darker chocolate version. Maybe with a few tweaks the truffle mocha could work. I agree with Becca about the regular mocha chalky taste, as well as I think it can be both too bit too sweet and bitter at the same time. There also seems to be no consistency in taste from one drin to the next. I would love to see a dark chocolate mocha, as well as a regular one with a smoother, richer taste. This seems like something better suited for the Roastery. I’ve seen the use of truffles for mochas at various third wave coffee shops. I have been loving the new S’mores chocolate sauce in mochas, I don’t like the normal sauce how it never fully mixes in and if you open your cup after your done there is a layer of unmixed chocolate or the chalky taste/feeling. My husband tried the hot dark chocolate truffle mocha in Monroe, WA yesterday and said it was amazing. We don’t care for really sweet drinks and we both prefer dark chocolate, so I can’t wait to try it myself!